Ferrochrome. Or: When rocks are not just rocks. Ferrochrome is a widely used alloy of iron and chromium, essential in the stainless steel industry. We try to find a way of producing ferrochrome using natural gas instead of coal. This would give a more cost effective and environmentally friendly production process. The raw material for ferrochrome comes from chromite mines. It is possible to get a fairly high content of chromium and iron out of these processed rocks, but they are still rocks, and that’s where metallurgy comes in action. In my studies, I synthesize “artificial rocks” (see Figure 1). The whole purpose of ferrochromium production is to remove the oxygen contained in the chromite (O4 in FeCr2O4) and keep what we want: the two metals that are iron and chromium. The oxygen removal process involves many different steps, as it is increasingly difficult to remove oxygen when we’ve removed most of it. One of these steps involves coals, being basically carbon. Carbon reacts with the oxygen in the chromium, forming carbon monoxide, leaving what we want. 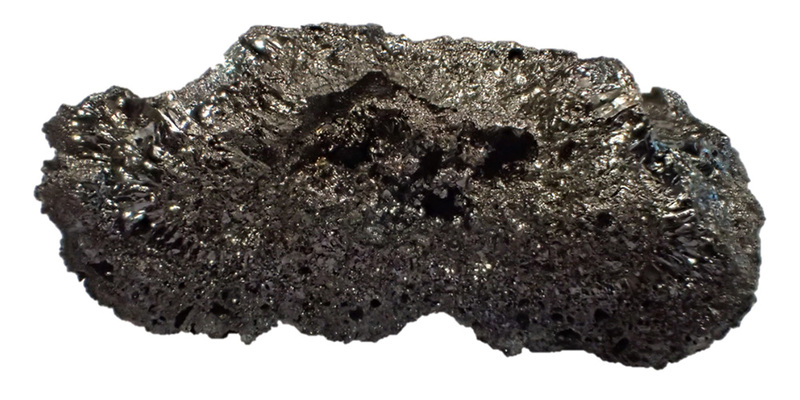 The reaction with coal and chromite is usually carried around 1400°C, which means that a lot of energy is needed. As a part of my PhD project, I look at ways to use natural gas (methane) instead of coal in this process. The reaction with methane and chromite would be carried at temperatures lower than 1200°C. That is a lot of energy saved in heating! Besides, using methane could be more effective, potentially removing more oxygen than carbon would have (see Figure 2). This would limit the need for the last and most energy intensive step… and this is also mine to find out! Unfortunately, the composition of the raw material vary in many different ways: In addition to iron, chromium and oxygen, numerous minerals – like magnesiochromite, hercynite, spinel – just to mention some are mixed in the material. Two different mines usually produce very different ores, and the composition of the ores can also change dramatically in different places of a single mine! These impurities, even present in small quantities, can have an important impact on the metal extraction processes and the reaction with methane. In order to make valid results from my research, I must have knowledge and a control of the composition. As a part of my study I therefore make my own materials to study. I feel like recreating simplified nature! How we create these materials will be a topic for my next blog post. 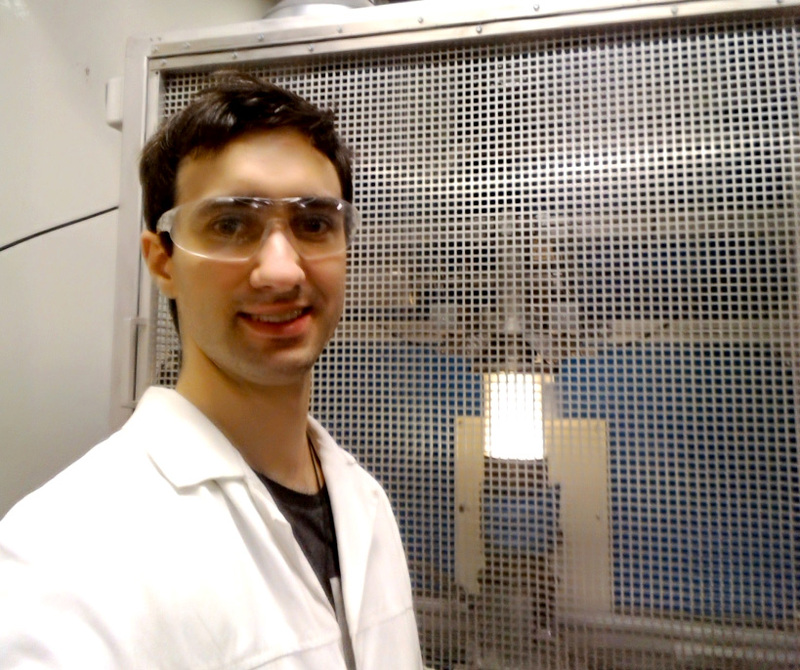 With the proper raw material, the reactions between chromite and methane can finally be studied. At this stage, many parameters can influence the reaction. This includes the material composition, the temperature, the gas composition, the duration, and many others. Besides, the reaction mechanism itself is not clearly identified yet. But at high temperatures, methane gas molecules are fairly unstable and tend to break up in hydrogen molecules and graphite. 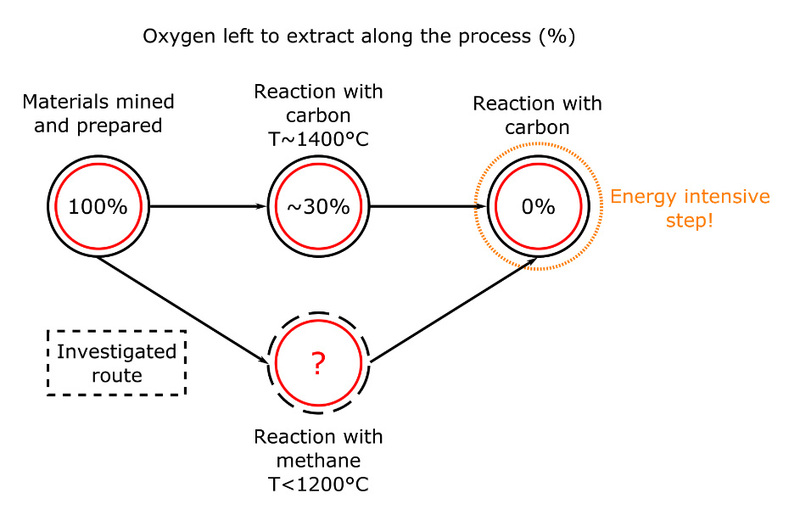 It is also at high temperature that methane gas is the most reactive and the most likely to carry a reaction with the ore, pulling oxygen from the ore as carbon monoxide and seeping in carbon to form carbides (see Figure 3). We need to vary the parameters in order to obtain the second scenario. By testing a wide range of these parameters, we hope to learn more about how methane behaves in contact with chromite, and how the various impurities influence this behavior. Maybe the addition of other gases during the reaction, or the use of a particular ore with a specific impurity will make the perfect match? 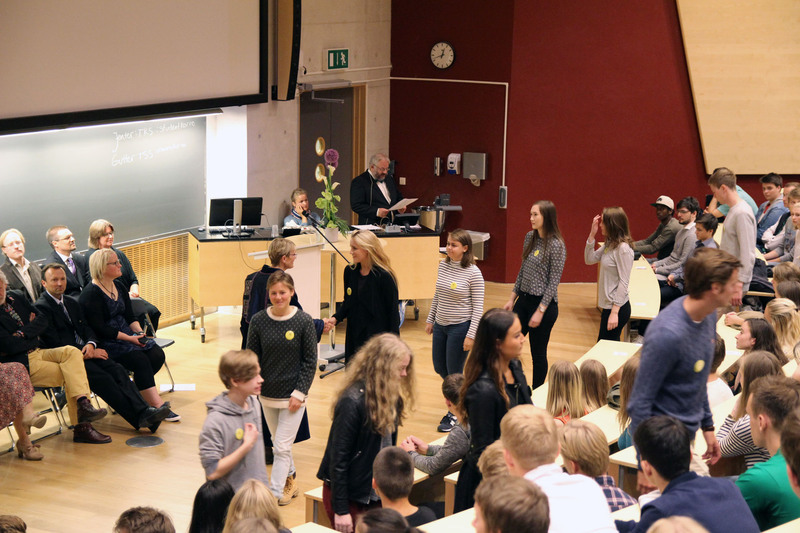 This week is matriculation week at NTNU. 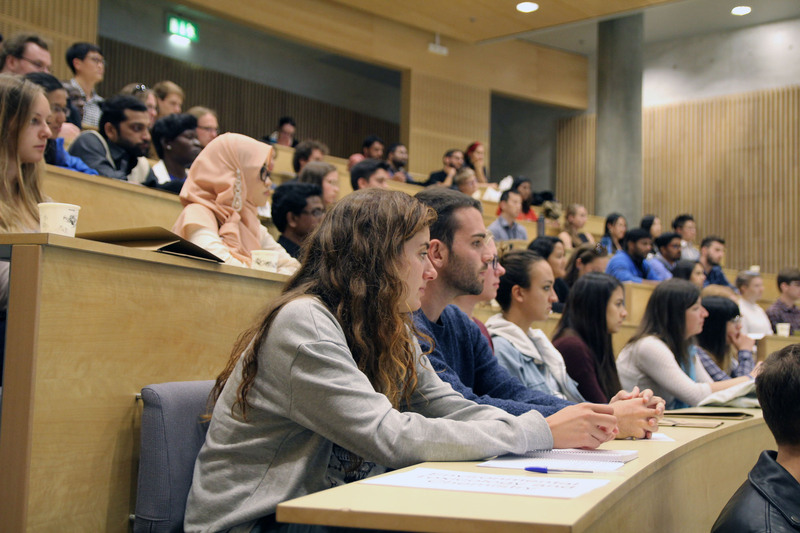 The Faculty of Natural Sciences and Technology warmly welcomes approximately 500 new students. 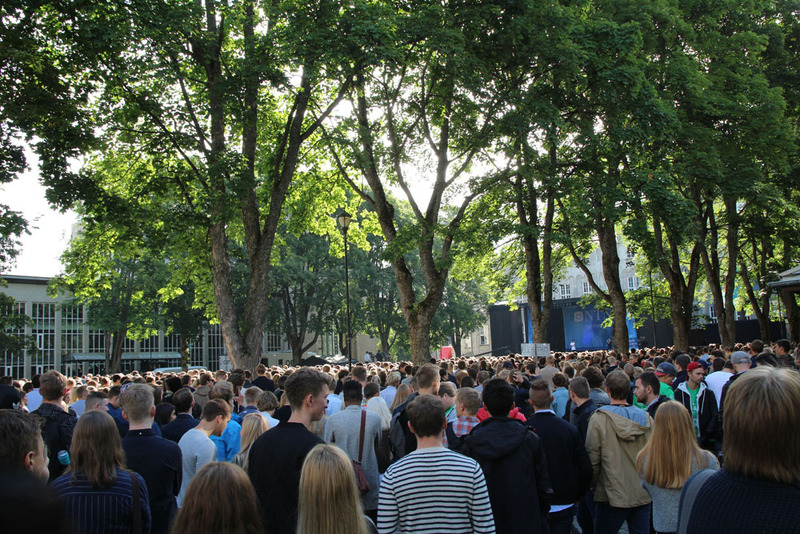 Earlier this week around 7000 new students gathered at Gløshaugen in Trondheim to hear NTNU rector Gunnar Bovim and others wish them welcome to NTNU. 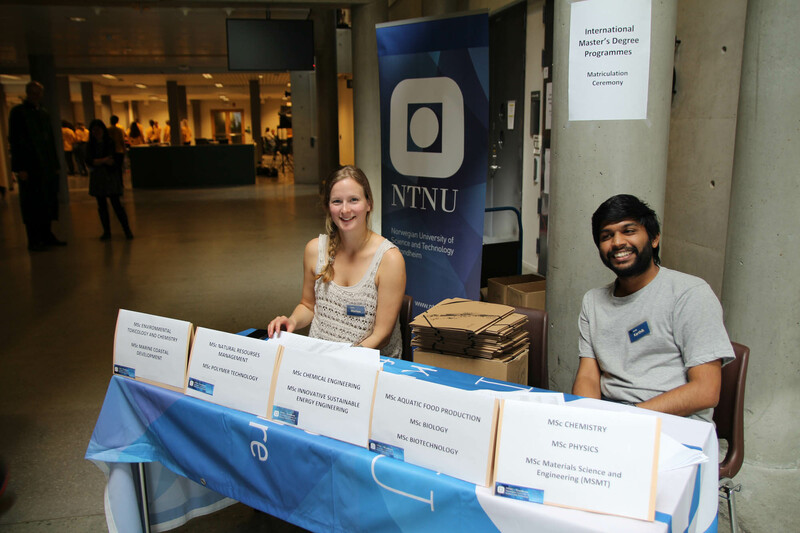 NTNU in Ålesund and NTNU in Gjøvik had similar events. 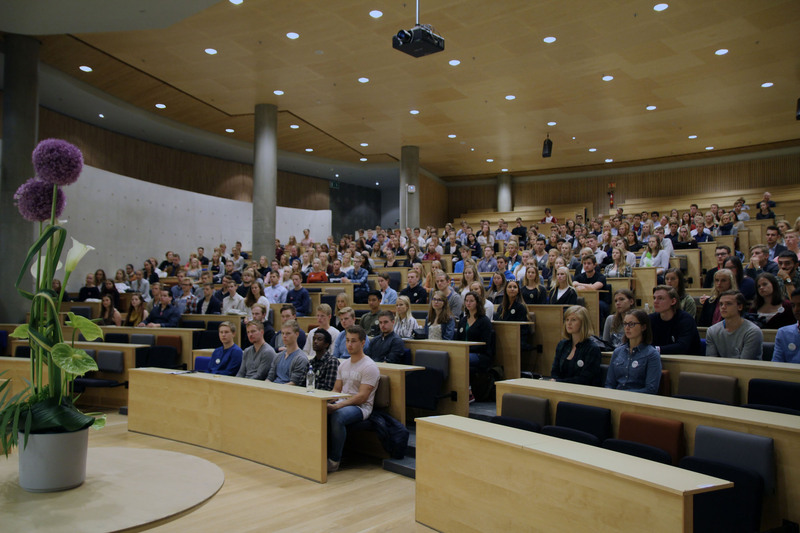 Eager new students met to hear, among others, NTNU rector Gunnar Bovim wih the welcome to NTNU at the first matriculation day at NTNU. Photo: Pernille Feilberg / NTNU. After the gathering, the students met with their new faculties. 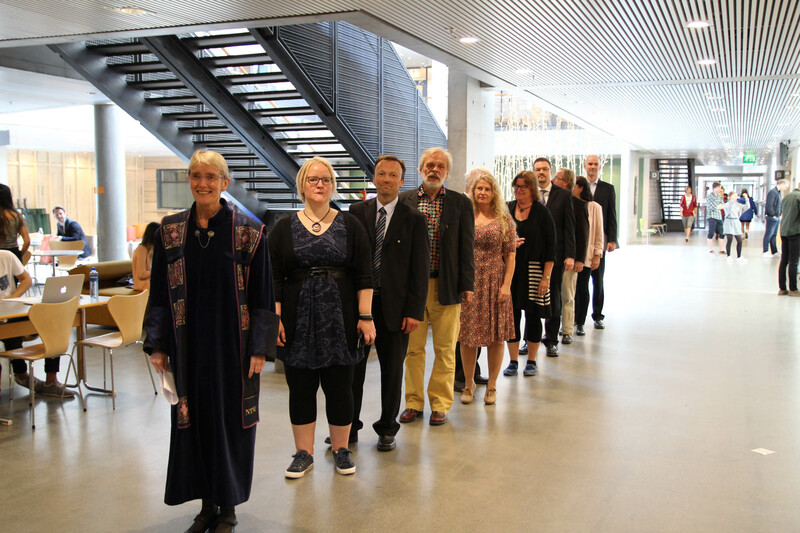 Heads of the Faculty and representatives of the academic staff meet the new students. When the academic procession enters the auditorium, all rise. Photo: Pernille Feilberg.